Connecting with a campaign. In addition to producing high-quality papers, Boise Paper is committed to supporting local economies, communities and the environment. They bring these ideals to life through their Live, Work, Connect campaign. Having worked closely with Boise on this campaign, Evoke Idea Group was the natural choice when it came time to create Live, Work, Connect tradeshow display. 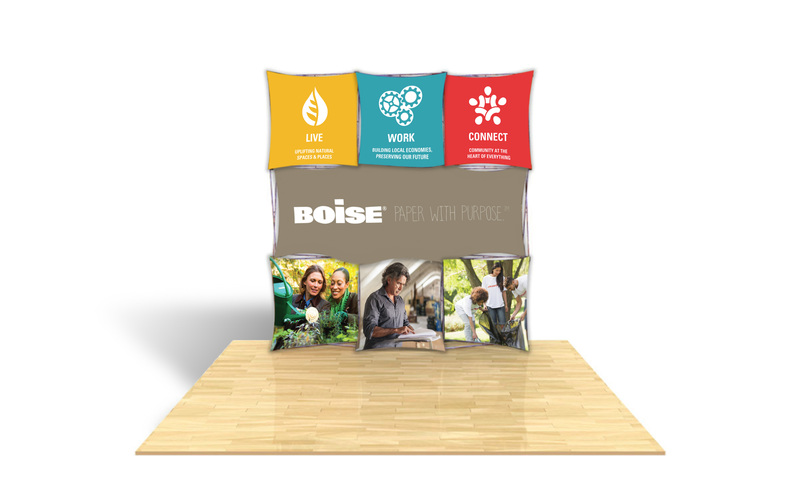 The booth was designed to connect with the eye-catching imagery and graphics used in other campaign elements, allowing Boise to tie everything together into a cohesive and compelling story.